Livewire’s eConcierge® software replaces traditional concierge channels, managing communications to your customers via kiosks, digital signs, mobile apps, social media, and web sites, all through a single console. 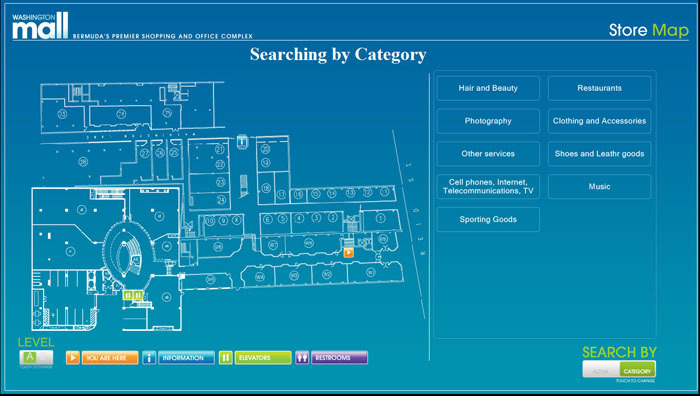 Our software solution supports vital virtual concierge functions such as business/property information, way-finding, interactive maps and directories, entertainment, dining and event information, and more. With LIVEWIRE’s eConcierge® Content Management Server Software, you can create an omni-channel virtual concierge system capable of delivering a wide variety of information to your audience with a minimal investment. Provide a direct real-time connection to information, directions, products and services. Easy-to-manage hierarchical functionality so your information can be categorized and displayed in a user friendly fashion. Eliminate the cost and waste of keeping paper guides and notifications updated with current information. Generate revenue by creating attractive advertisements for your business partners and community businesses. Integrate real time customer service phone dial up functionality. Integrate coupon printing, ticketing, loyalty cards, gift card activation and self-service check-in. Manage all this with one platform and deliver to your kiosks, digital signs, and mobile devices. Easily access secure web based reports and monitor the use of your devices.